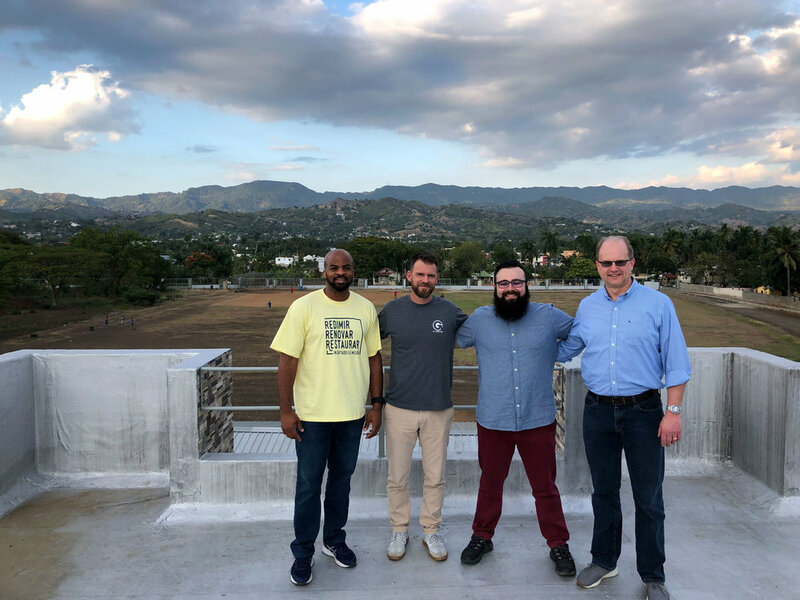 In February, Steve Halfaker and I traveled to the Dominican Republic to visit Ryan Sudsberry, one of our Global Impact Partners. Ryan and his team are two years into this movement. They have already planted sixty-seven churches! To do this, Ryan and his team have created a church planter assessment, which identifies new church planters and a culture of multiplication. Each church planter/pastor is required to have an apprentice that they will send to start a new church in the future. Our trip was packed! Ryan said that it was the busiest exploratory trip he had ever led. We visited thirteen pastors in eleven different communities, GO’s medical complex, GO’s twenty-five million dollar sports complex that is under construction, one of their schools, their seminary, one of their nutrition centers, and a print shop, which is part of their Kingdom businesses program that they use to provide jobs for people in their community. One of the highlights of our trip was our visit to Tamboril, a town near Santiago, GO’s main city in the Dominican Republic. Tamboril is an interesting city. It is called, “The cigar capitol of the world.” That is because almost everyone there is involved in the cigar industry. People work in the tobacco fields, roll cigars, make wrappers for cigars, market cigars, sell cigars, and do everything in between. That has given Tamboril a difficult relationship with the church. The evangelical church in the Dominican Republic is very legalistic, so churches always told people in Tamboril that they could only come if they stopped smoking and working with cigars, which seemed impossible to them. Elvis planted a church in another town called Los Cocos two years ago. He had a vision to plant ten other churches from that church. Since then, he has left Los Cocos to plan in Tamboril, leaving one of his apprentices in charge. He also sent another apprentice to plant a church in a small town called Los Ganayos. Steve and I were touched by Elvis because we really believe his ministry embodies our vision of hospitality. Elvis moved to Tamboril a few months ago and he regularly opens his home to his neighbors. He has even modified his home to make it a better space for hosting people. He started his church in his home the beginning of January and after the church’s third meeting, Elvis said that over forty people were in attendance. Can you imagine regularly hosting over forty nonbelievers in your home? It was great to finally see the fruit of Ryan’s hard work. It was also great to learn more about GO Ministries. GO’s dream to plant one thousand churches always seemed slightly unrealistic to me, but seeing their infrastructure, especially the seminary, made it much more real. Their vision was not created in a vacuum. Instead, it seems that God has been preparing them for it for a long time.